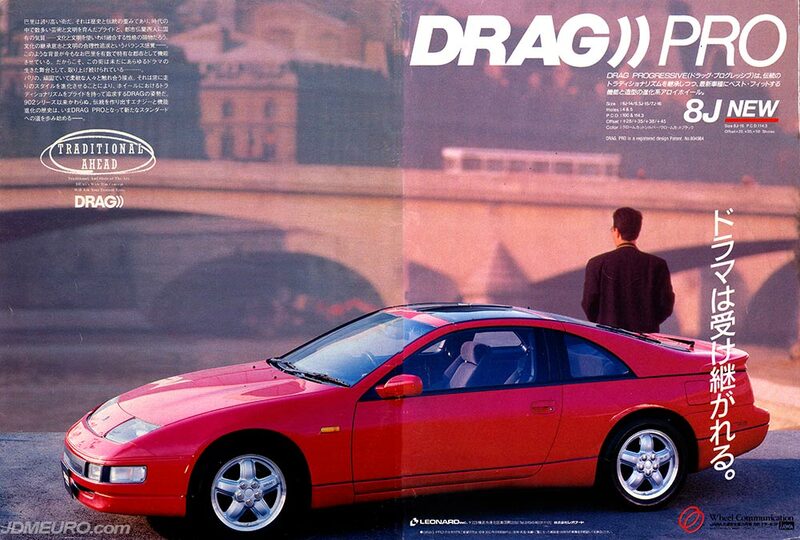 The Drag Progressive by Fortran Wheels, better known as the DRAG PRO, are JDM Wheels that are best known to be the brother to the Mugen MR-5. 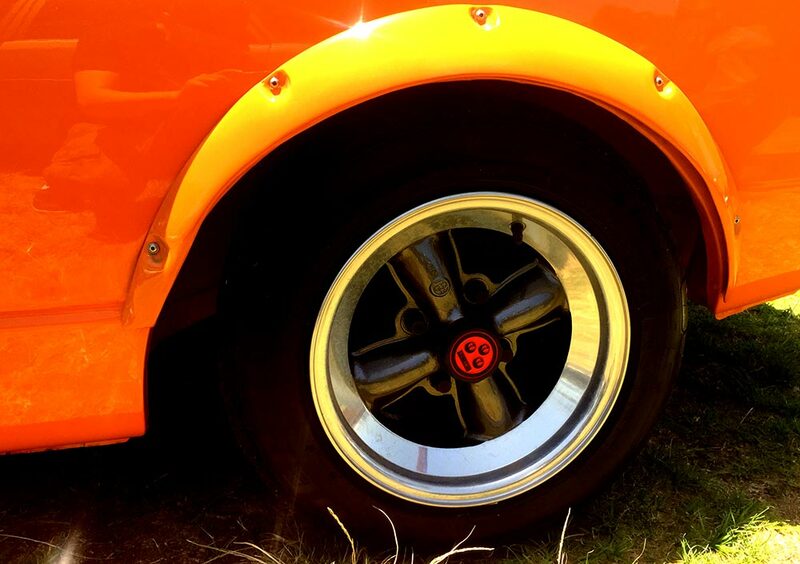 The The Drag Progressive is light weight 5 spoke wheel which feature one piece construction. 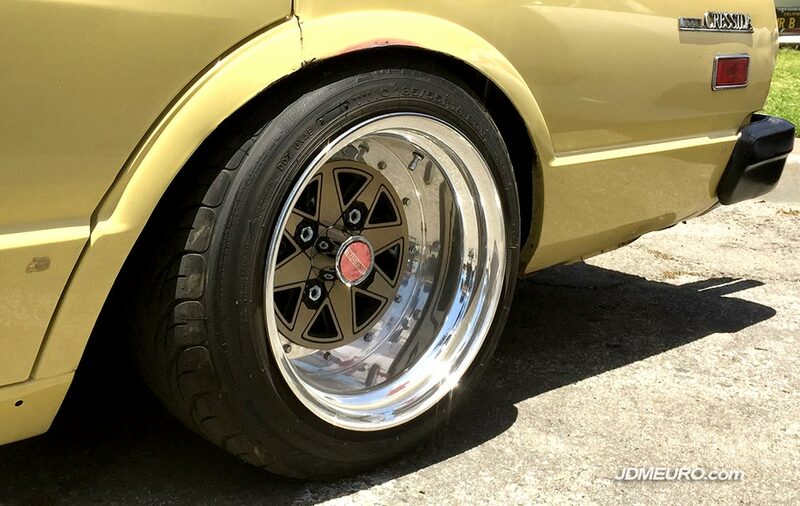 The most noteable feature of the Drag Pros are the locking center cap and individual caps for each lug nut which gives them a very smooth look. 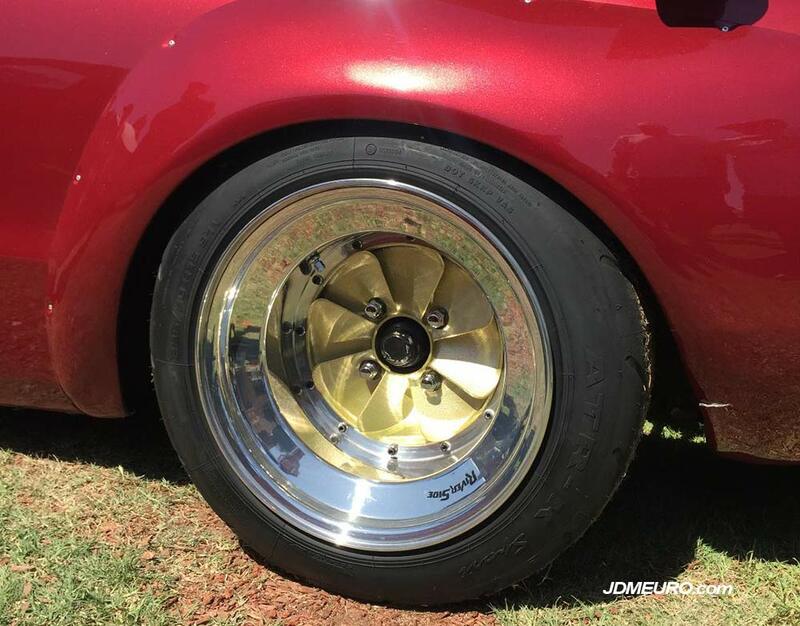 Although most popular fitment is 4×100 popular for Honda Civic or Mazda Miata, pictured is a rare 5 lug fitment on a Z32 Nissan 300ZX Fairlady. 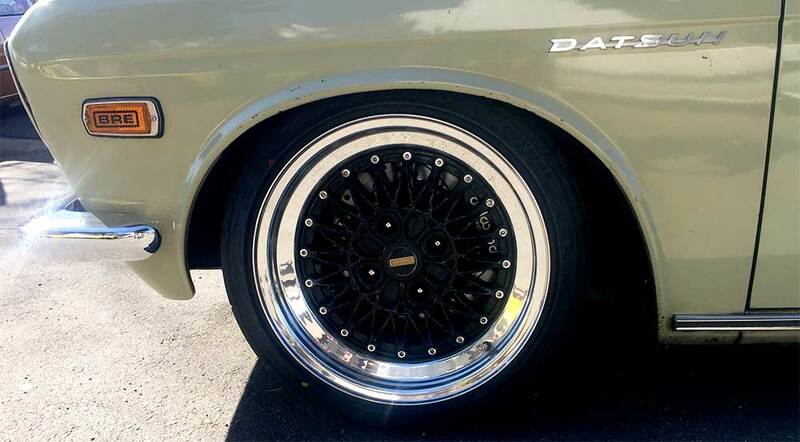 The Washialumi Asteroid Spoke Mesh are rare JDM Wheels that were produced in the late 1980’s. As the name implies, the Washialumi Asteroid Spoke Mesh have a overall star pattern design, but the spokes have a mesh pattern, hence the spoke mesh designation. 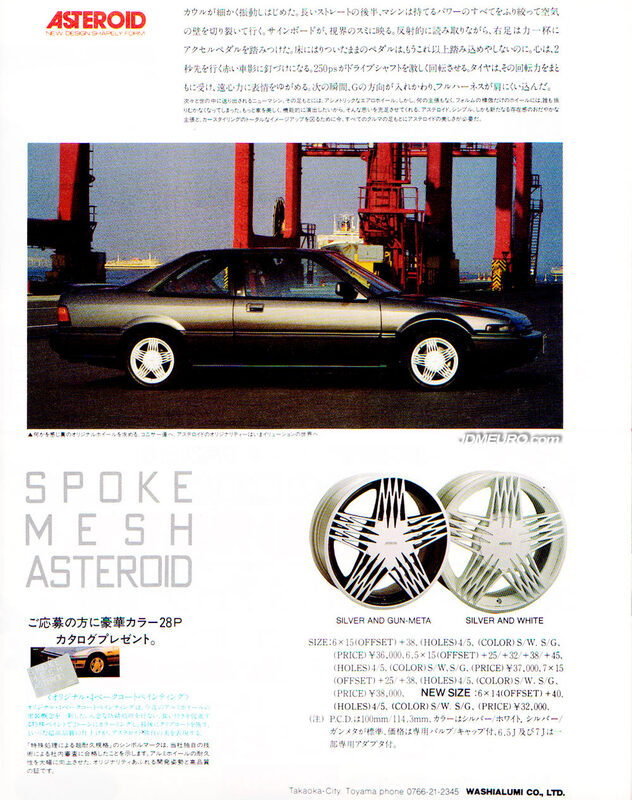 Pictured are the Asteroid Spoke Mesh on a late 80’s Honda Accord Coupe, and they look great on there. Asteriod – New Design Shapely Form. 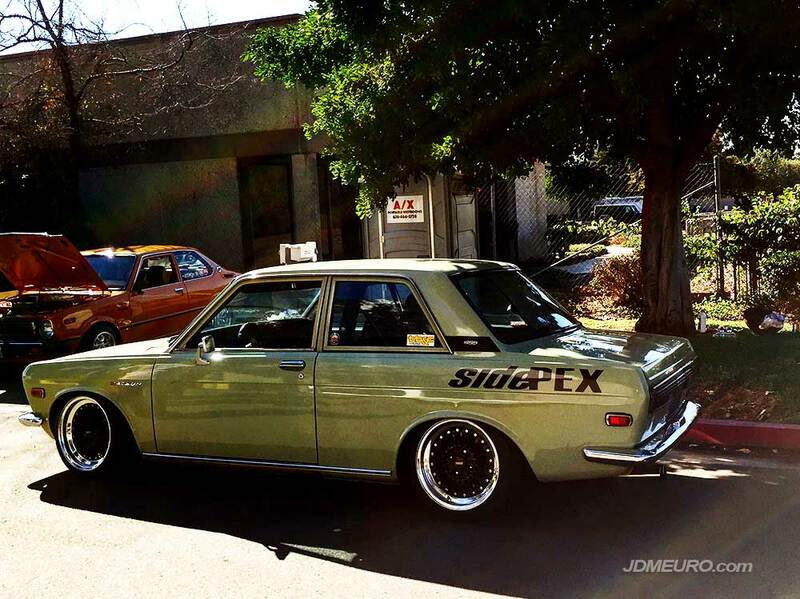 The Epsilon Southern Ways Mesh are Old School JDM Wheels that are popular on old school rotaries, as they are a perfect match on this Mazda R100. 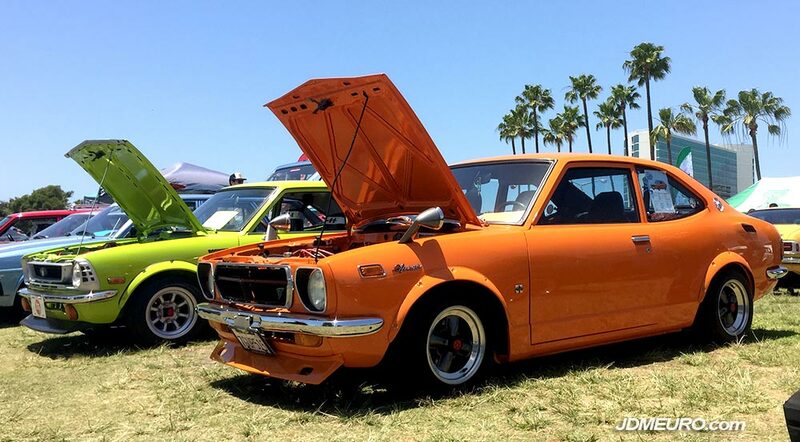 This Mazda R100 was spotted at the Vintage Japanese Motor Union meet hosted at Love20Bee Wheels in La Verne, CA; check out Love20Bee Wheels foe some cool fresh Old School JDM Wheels! Epsilon Southern Ways Mesh JDW Wheels in rare form, wearing the more rare center caps. 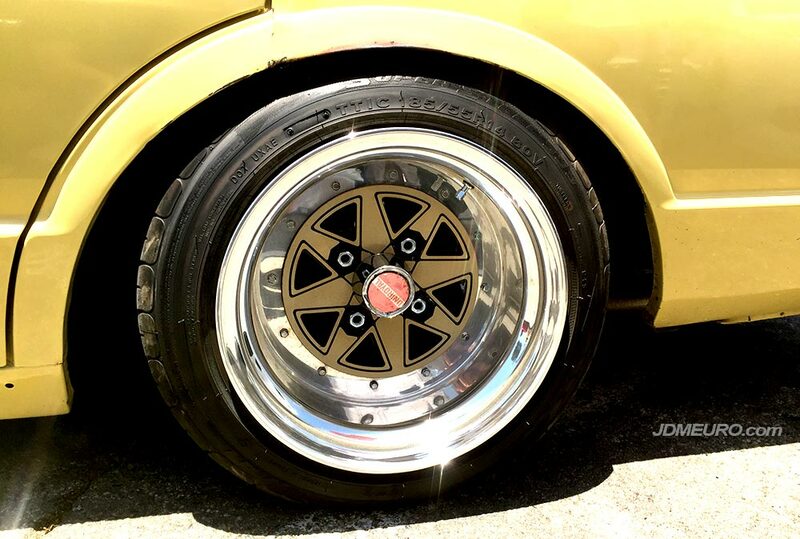 The Epsilon Southern Ways Mesh feature true three piece construction, with a seprate 20 bolt barrel, lip and face; one of the most iconic old school JDM Wheels of all time. 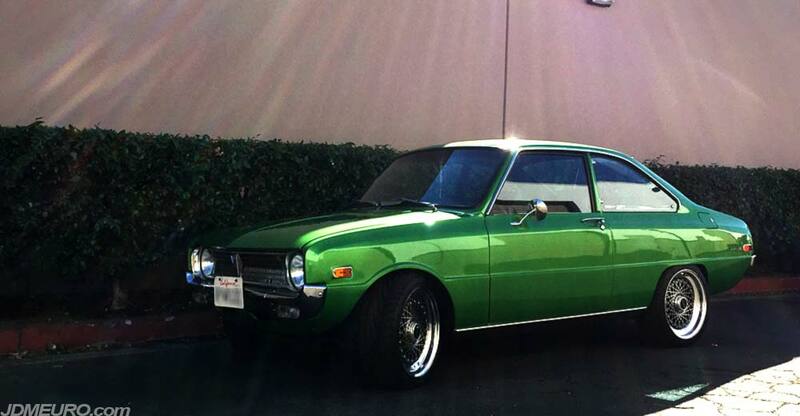 Side view of the Mazda R100, body and paint are perfect on this machine. 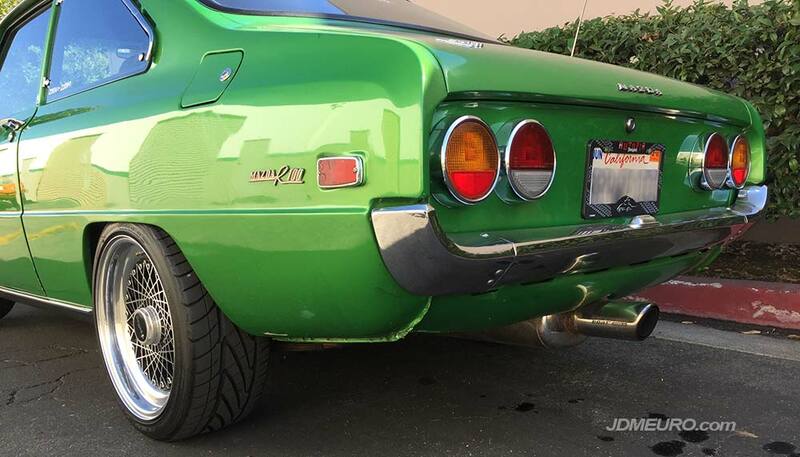 Check out the prefect rear fitment of the Epsilon Southern Ways on the Mazda R100. A newer school Racing Beat muffler is a cool touch. 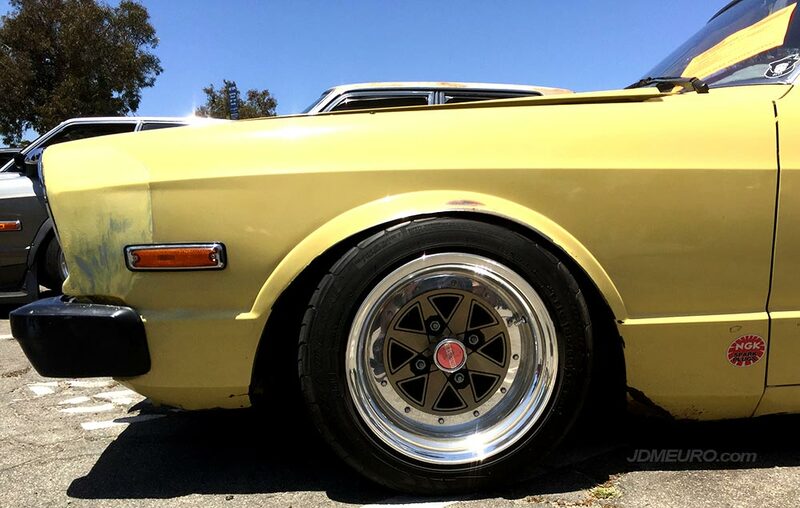 Most posts on this site include JDM Wheels or even European wheels; well for a first time: Australian Wheels. 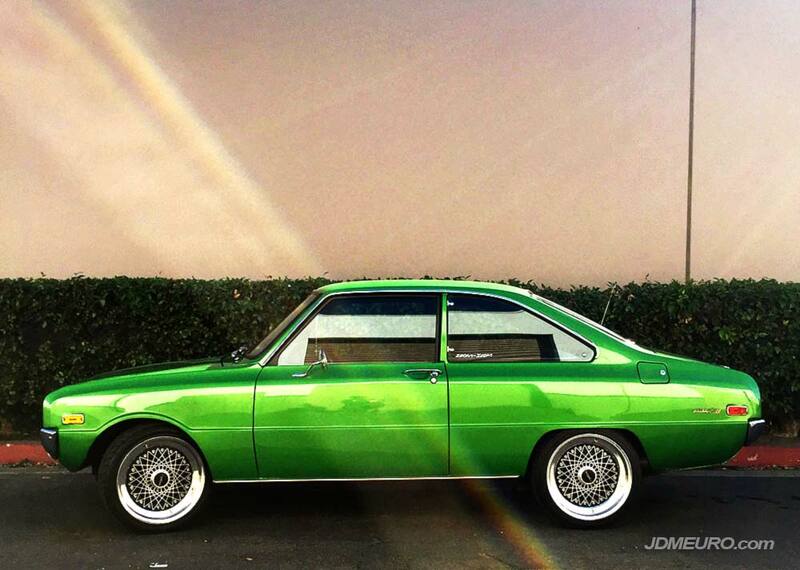 When it comes to Old School Australian Wheels there is only one name: Simmons Wheels. 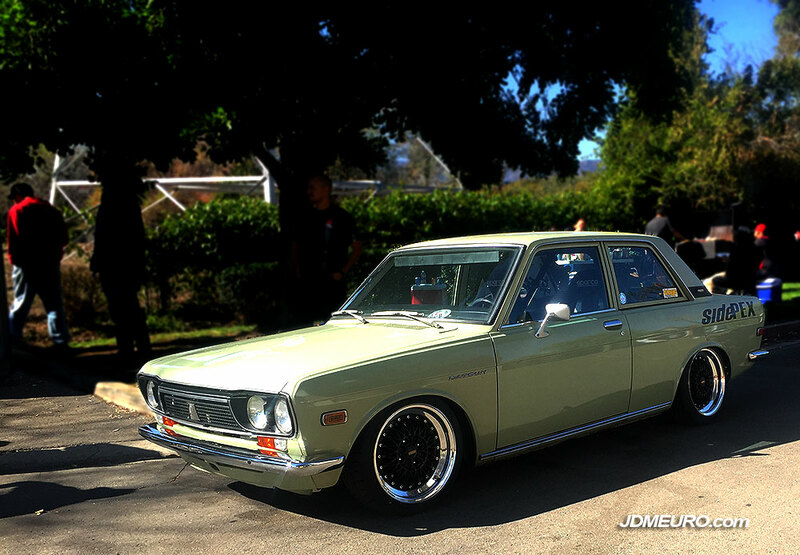 This beatiful Datsun 510 sits on a set of Simmons V4 Wheels. 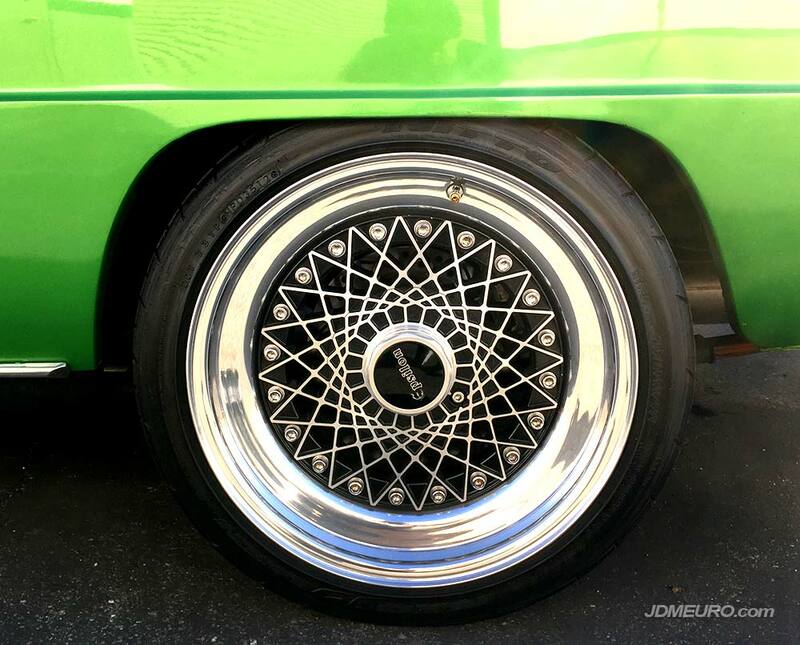 The Simmons V4 Wheels feature a unique Mesh Face encased with a beatiful stepped lip. 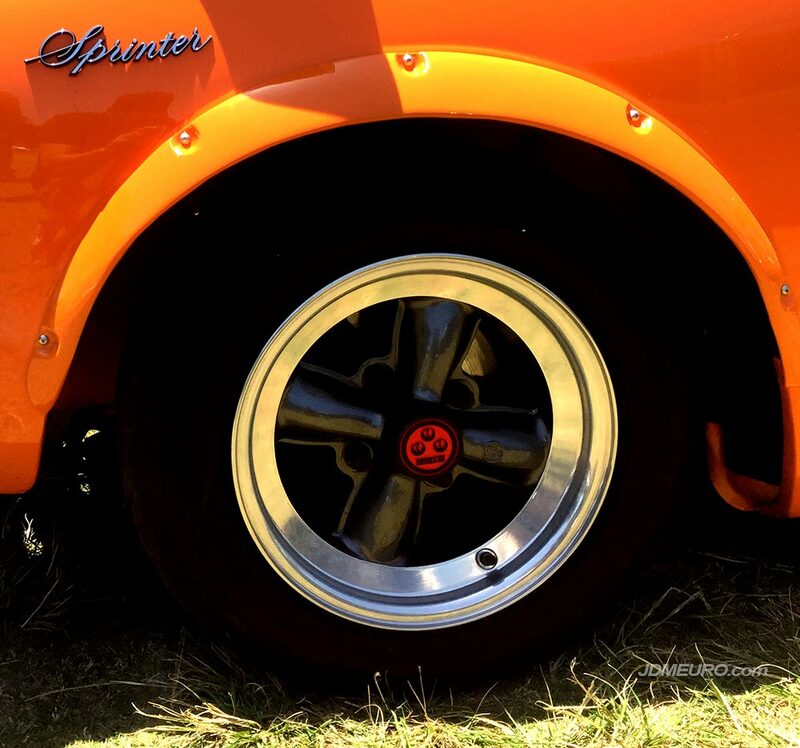 The Simmons V4 Wheels are three piece wheels which are held together with a 20 bolt setup. 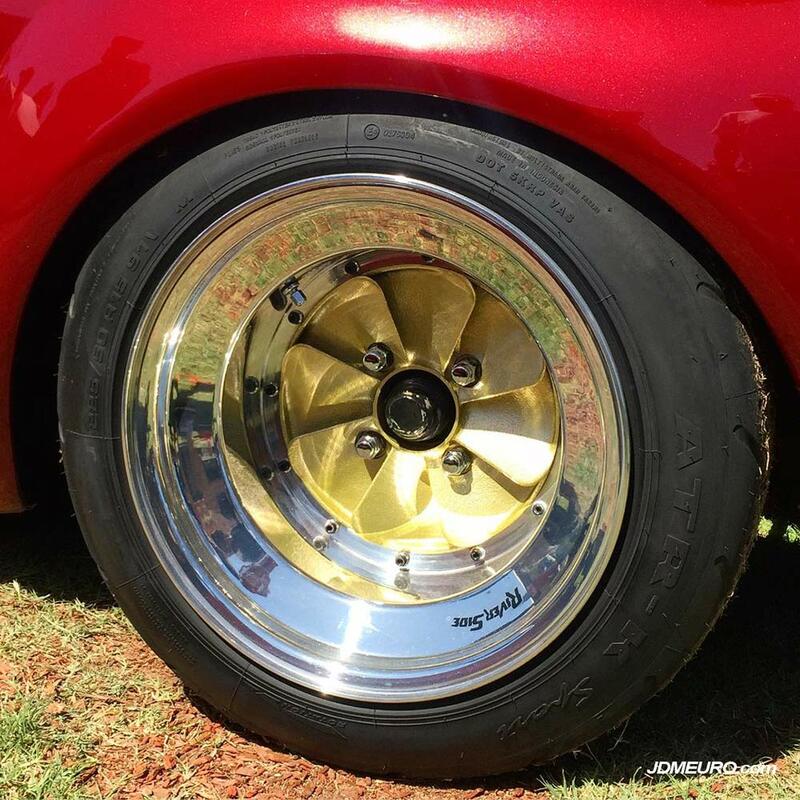 The Simmons V4 Wheels are a popular choice on Old School Rotaries in Austrailia, but are quite a rare sight here in the states. 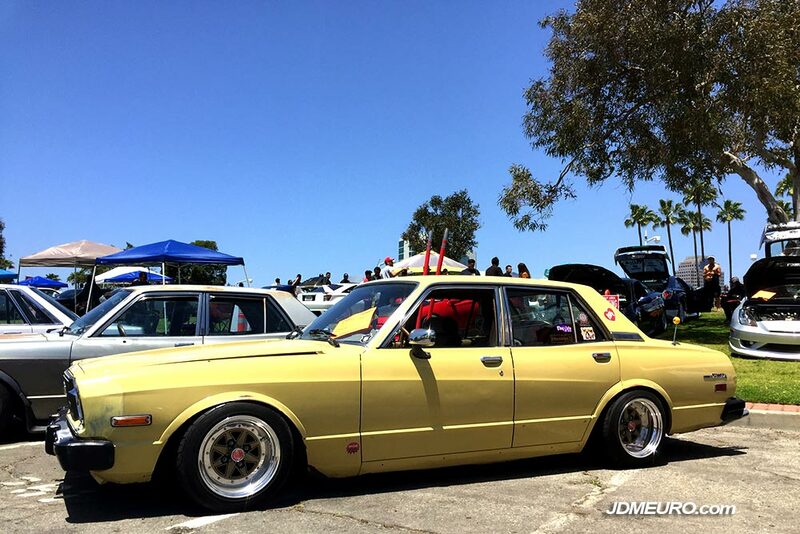 This Old School Datsun 510 on Simmons V4 was sighted at the Vintage Japanese Motor Union Meet held at Love20Bee Wheels shop. 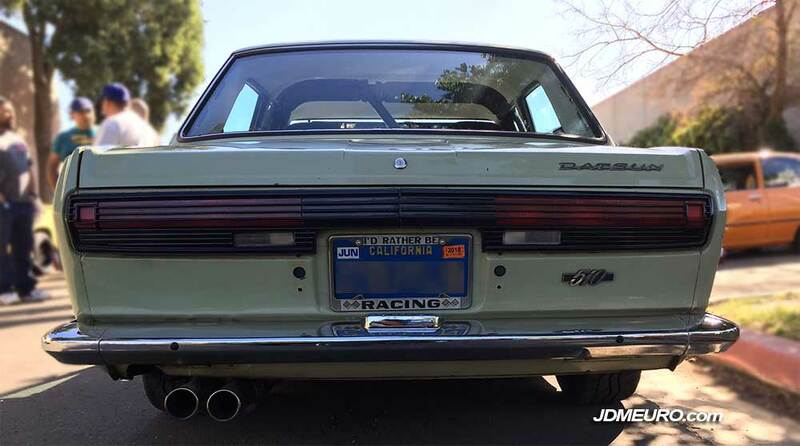 Beautiful rear shot of the Datsun 510 on Simmons V4. 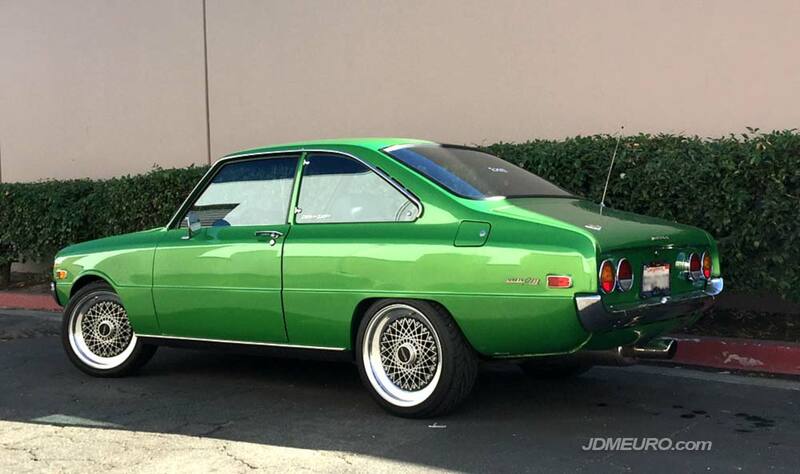 Riverside Super River is one of the rarest of the rare in JDM Wheels. The Riverside Super River looks like someone took an impeller wheel out of a giant turbo and made a 2 piece jdm wheel out of it. 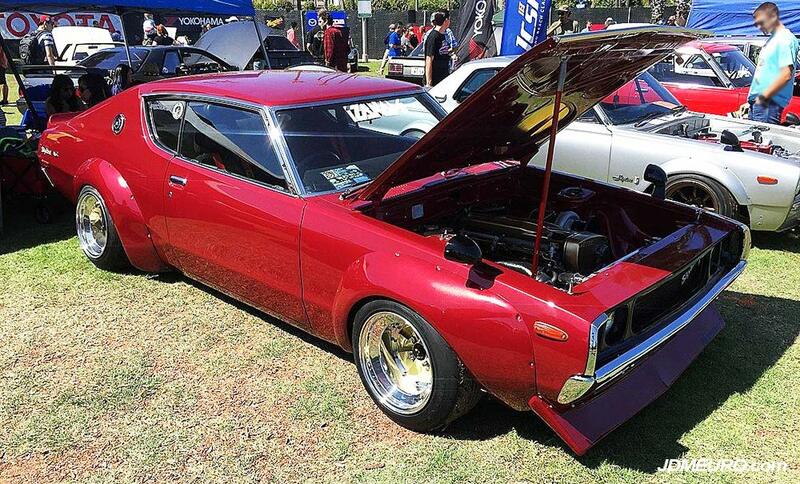 The Riverside Super River are mounted to this familiar and beautiful KPGC110 Nissan Skyline. These Riverside Super River looked flawless, a view that I have never seen in person before. 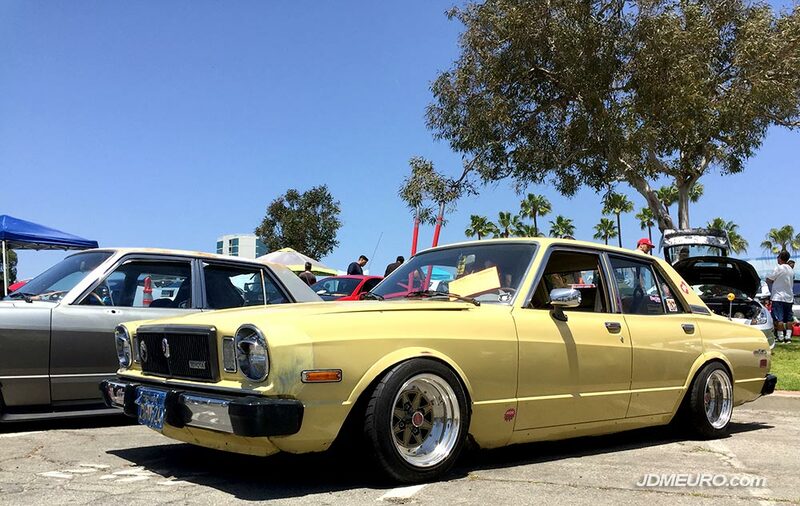 I wonder if those are original specs on these old school JDM Wheels. These wheels are definitely my highlight of JCCS 2017.